The future's urban. By the middle of the century the majority of people will be living in cities. But these won't be any ordinary cities. No, these will be super smart cities of the future, the kind you read about in sci-fi novels and see on TV. The Guardian paints a rosy picture of life in the future; virtual hologram conference calls, automated street cleaners and auto-ovens, all amongst a utopian paradise. 2050 looks like a nice place to live. But what about now? We've already looked at the super hi-tech cities of the future, so now we turn our focus to find out which cities are already on the way. Last year was the first time the number of people living in cities actually outnumbered those in rural areas. The likes of IBM and Cisco have been introducing smart city projects to thousands of locations worldwide. These range from places like Memphis, where a Real Time Crime Center that pinpoints and reports crime instantly as well as predicts hot spots for efficient police distribution has seen crime rates at their lowest rate in a quarter century. There's also a project in Rio de Janeiro, where a new weather system, known as ‘Deep Thunder' tracks changes and predicts storms in order to reduce the impact of flash floods and landslides. A large part of a smart city's raison d'etre is to be kinder to the environment than a normal city. To this end, Barcelona is one of the world leaders. Along with a smart city campus for companies and institutions to come together and work, there are electric cars and hundreds of charge points, strong emphasis on solar energy, sensors on rubbish and recycling bins, water sensors in parks to ensure water is used more intelligently, sensors in parking areas to indicate empty spaces and sensors on streetlights all to increase efficiency and reduce waste. Currently all the smart cities are generally placed in the more developed nations, as the up and coming cities in places like Kenya or Nigeria are yet to be completed or fully adapted into the ‘smart' category. The Dutch have also muscled in on the smart city scene, with the aim making the historic city of Amsterdam the first fully smart city in the EU. Smart houses, workstations, eco-friendly harbors, even smart schools are becoming more widespread as the project expands. Singapore too has embraced the idea of smart electrical grids and is looking to be the first to fully introduce near-field communications (NFC) technology for contactless payments. In reality it's hard to say any one city is super smart. Towns and cities across the world are all introducing little changes piece by piece as they require. 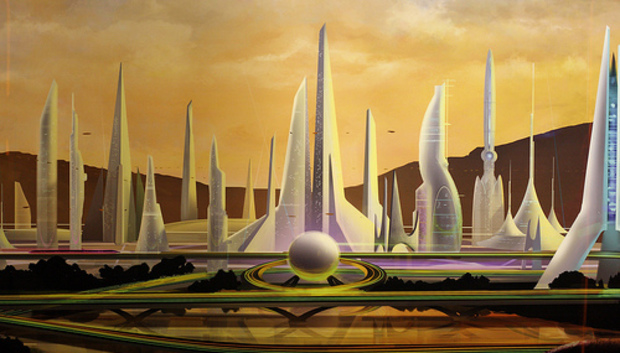 And I highly doubt there'll be a point where our cities are the kind of Utopia that some envision. But, according to ABI Research, $39.5 billion will be spent on smart city technologies in 2016, so it's safe to say smart cities are here to stay. No doubt there'll be more new cities built around the world, and old metropolises will be retrofitted and rejuvenated to meet the needs of the future. Since the previous post I've seen further projects in Japan and China and will likely be seeing many more in the future. You have to wonder, is it only a matter of time until people start to ask, "Why isn't this happening in our city?" Mark Warburton (Global) - Is the Internet a Democratic Space? Kasey Cassells (Global) - Happy Birthday, World Wide Web! Jonathan Wright (Global) - Is the Internet Diverse Enough?